Surprisingly, online-only bank customers report lower satisfaction than digital/branch-combined users. Capital One’s low rates and popular credit cards have been facilitated in part by forgoing the cost of traditional bank offerings. 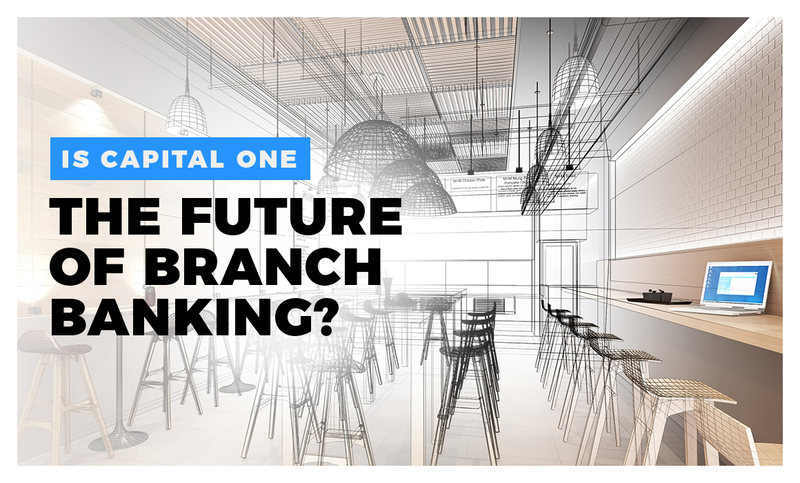 As they envision a new kind of branch, one that invites lingering in welcoming spaces, will they alter the expectations of future customers at all banks? Who are those future customers? In 2016, millennials became the largest workforce demographic and are projected to make up 75 percent of U.S. labor by 2030. Millennials, with their unconventional workplace needs and telecommuting tendencies, are becoming the economy’s predominant force. Likewise, gig-economy workers of all ages comprise 34 percent of the workforce, with projected growth to 43 percent by 2020. Where do the independent contractors of the gig economy work? Anywhere they want. Coworking spaces. Coffee shops. Libraries. Their neighborhood bank? And why not, while they settle in with a laptop and a latte, transfer their accounts to a bank that welcomes them into an environment tailored to their comfort? According to the Global Coworking Survey, more than 1.7 million workers will use 19,000 coworking spaces by the end of 2018. Of course, coworking spaces charge rent. A free space like the Capital One Café—with marketing like “come on in and get comfortable,” a policy that guests aren’t required to carry accounts, and where “money coaches” and “ambassadors” instead of bankers and tellers make up the staff—clearly aims to serve the emerging workforce as no other banking institution does. With this new approach to recognizing customers’ needs and connecting on every level to meet them, Capital One’s café concept could expand an entire generation’s expectations for branch banking. For regional banks and local branches of “big banks,” engaging with customers in welcoming neighborhood spaces would represent a significant change, including bringing your employees out from behind the counter and into the shared physical and conceptual environments your customers inhabit. Acquiring banking customers has one of the highest costs across industries, and whether the benefits of a branch café (coffee sales, additional services rendered) outweigh the costs remains an open question. But when you consider the lifetime value of that upfront cost—and a customer’s willingness to stay with a bank that caters to their lifestyle, social and work life needs—this disruption of established banking habits may force the entire industry to rethink branch design. Want to talk about customer acquisition and growing share of wallet? Email or call me at 317-631-6400.